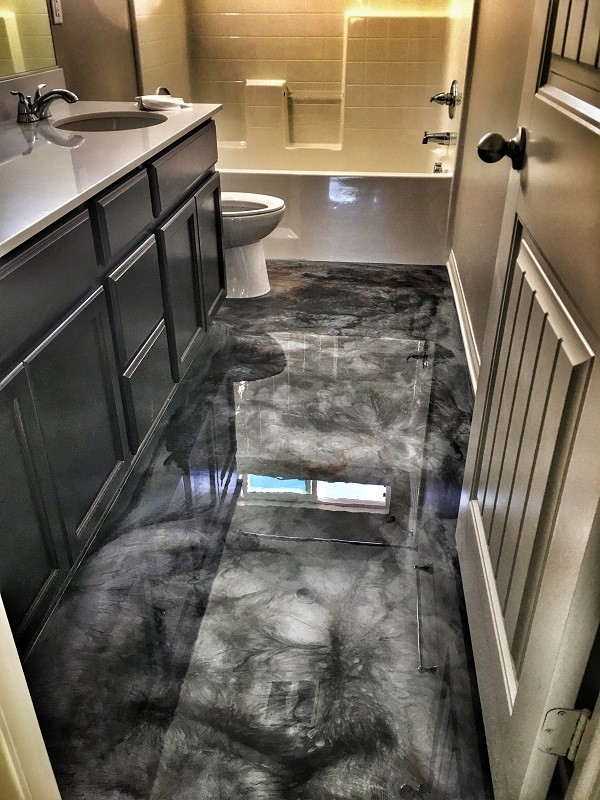 This amazing bathroom transformation was made possible with our Lava Flow® system. Using 2 metallic colors (Black Olive and Sterling Silver) they were able to achieve this dramatic effect. Finally, they sealed the epoxy with our 5073 Polyurea which will ensure a high shine and scratch resistant finish that will last for years to come.